Saul Morales was only 2 when he crossed the border from Mexico, so he doesn’t remember much of the journey. Saul Morales poses for a photo on Thursday, Dec. 13 at the Keep Families Together fundraiser in Salt Lake City. Nor does he remember when Sen. Orrin Hatch — his senator — reached across the political aisle in 2001 to co-sponsor the original Development, Relief and Education for Alien Minors, or DREAM Act, which aimed to protect young immigrants brought as children to the country illegally, right around the same time Morales arrived in Utah. 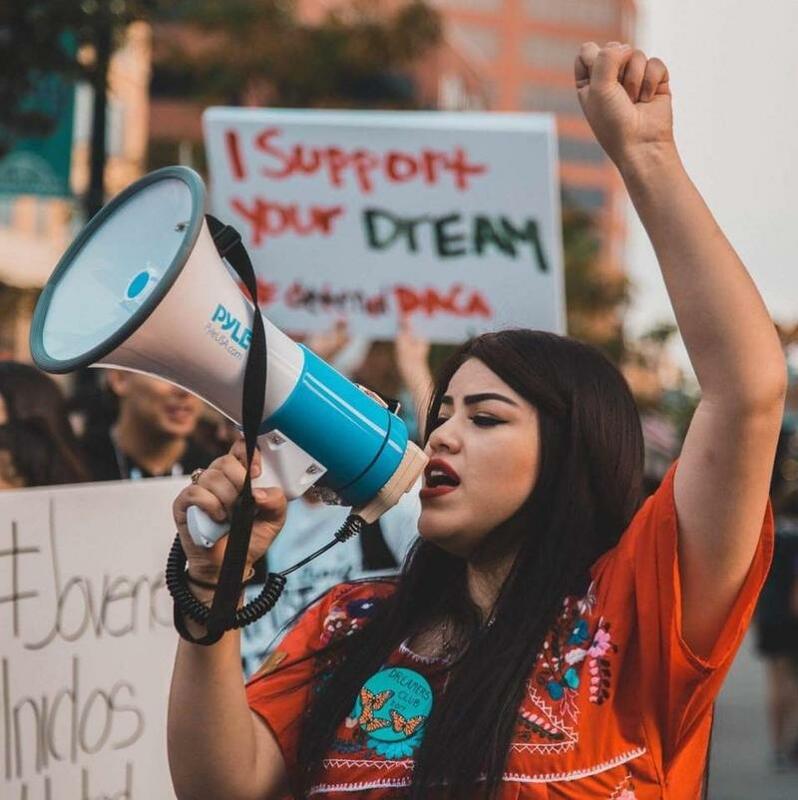 In the 17 years since, Morales, a high school senior from West Valley City, has been stuck in a dream state of failed immigration reform. Still, he hopes it will become law, even if Hatch and other Republican lawmakers have largely walked away from it. And in that legal limbo he has remained. He missed his grandfather’s funeral in Mexico seven years ago. The family could not attend the service because none of them could travel outside of the country. 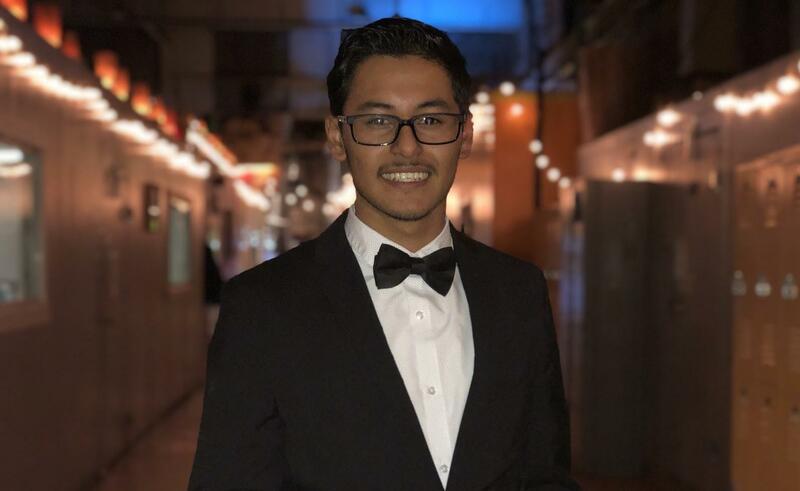 Today, Morales is protected by Deferred Action for Childhood Arrivals program, which allows young immigrants like him to remain in the country, but it doesn’t give them legal status. But Morales said he has not stopped hoping that one day, Congress will pass a law that will shield him and others from deportation permanently. “We are going to do whatever we can to make sure the DREAM Act passes,” Morales said. But that won’t be part of Hatch’s legislative legacy on immigration, because he largely doesn’t have one beyond proposals that didn’t amount to much. Hatch evolved from a champion of the DREAM Act to a staunch supporter of President Donald Trump’s plan to curb immigration to the U.S. and secure the country’s borders. Critics on both sides of the immigration debate say they are disappointed by Hatch’s mixed legacy and his lack of commitment to one side. Over the past decade, different versions of the DREAM Act have been introduced, but, like the original, all have failed. Sen. Thom Tillis, R-N.C., (left) standing with Sen. Orrin Hatch, R-Utah, (right). Hatch co-sponsored another version, the Solution for Undocumented Children through Careers, Employment, Education and Defending our Nation (SUCCEED) Act in 2017. Immigration advocates criticized that bill because it would have created 15-year-long process to earn legal status. It would have also barred applicants from seeking other forms of immigration relief for which they could become eligible while they wait. In an August interview in his Senate offices in Washington, Hatch explained that his original bill was the right one. “If they had gone with the original DREAM Act that I devised, I think we would have probably passed it by now,” Hatch said. While the DREAM Act has lowered on Hatch’s list of priorities, border security and stronger enforcement of immigration laws have surfaced to the top. Hatch’s current stance on those issues is more in line with the majority of the Republican Party and President Donald Trump. Just this year, Hatch voted against two immigration bills, including a bipartisan plan introduced by the Common Sense Caucus led by Sen. Susan Collins, R-Maine. Trump also opposed this bill. 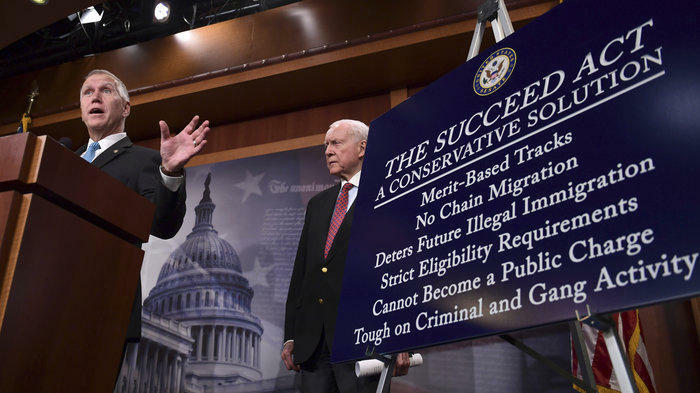 Chris Chmielenski, the executive director of Numbers USA, an organization that advocates for reducing legal immigration, sees this as an example of Hatch’s tendency to follow the crowd. “He knew that Trump is a fairly popular figure in the state of Utah and decided to side with the president in casting his vote,” Chmielenski said. When immigration reform has stronger support across the country, Hatch tends to stand with immigration advocates, Chmielenski said. So, although Hatch has been tough on illegal immigration, his continued support for increasing legal immigration, including improving programs for foreign workers, leaves Numbers USA unsatisfied with Hatch’s track record, Chmielenski said. “Those two issues tend to cancel each other out on our grade cards,” he said. Numbers USA, based in Virginia, gives Hatch C-letter grade for his overall performance on immigration issues over the past 30 years. But even though Hatch has become passive on the DREAM Act, Brittney Nystrom with the ACLU of Utah, notes that he has continued supporting “Dreamers” like he did last September. “I called the president last week to urge him not to rescind DACA because I believe it puts Dreamers, who are brought here as children through no fault of their own in an extremely difficult position,” Hatch said in a video statement. Nystrom also credits Hatch for speaking out against the Trump administration’s so-called “Zero Tolerance policy,” that led to families being separated at the border this summer. “It may no longer be that his name is the sponsor of the DREAM Act, but he’s certainly has taken positions that can be seen as compassionate toward immigrants,” Nystrom said. But for Luis Garza and other immigrant rights groups, Hatch’s statements aren’t enough. Garza, who runs West Valley City nonprofit Comunidades Unidas or Communities United, said he doesn’t think Hatch has been a constant ally for immigrants. “I do believe he has turned his back on the immigrant community here in the state and especially the Dreamers that we have here in Utah,” Garza said. Hatch said he thinks the Republican Party is not completely unopposed to immigration reform, but the right bill needs to include proper protections. “But what the Democrats want to do is just open the gate to let anybody come in anytime they want to, and we can't do that,” Hatch said. Morales said he wishes the DREAM Act would have passed back in 2001 so he could have had a chance to say goodbye to his grandfather. But he now hopes that the matter will be decided in time for the next big milestone in his life. Morales plans to go to college next year, but he fears that his immigration status will hold him back again. “I cannot leave this state, I cannot visit any one of my families. So, what if I become successful? I still cannot leave,” Morales said. Hatch’s shortfalls on immigration reform leave thousands of other young immigrants asking the same question. Ciriac Alvarez Valle and Alonso Reyna Rivarola stepped out of the shadows once. They don’t intend to return. Today was the day that the DACA program, or Deferred Action for Childhood Arrivals, was set to expire by the Trump administration. That’s the program that protects young, undocumented immigrants who were brought to the U.S. as children. The decision was put on hold last week after the Supreme Court chose not to review legal arguments about DACA. Again, it leaves the fate of so-called Dreamers in limbo, including several thousand people here in Utah.